Nights at the Museum is an event for ages 21+ that offers attendees a chance to enjoy games and activities, libations, and a fun new way to interact with history. Nights at the Museum will take place on the first Thursday of each month seasonally, March-October, on the iconic front lawn of the museum. Nights at the Museum is hosted by the Arkansas State House Society, and all proceeds will benefit the museum’s educational programs. Admission is $5; food and beverages will be available for purchase at the event. Tickets may be purchased in advance HERE or at the gate. The museum can validate parking at the DoubleTree Hotel; all metered parking downtown is free after 6 pm. Louise Loughborough was the first woman to serve on the Little Rock Planning Commission. Not only was the she first woman to serve on this body, she was the first to serve on any City commission other than the Board of Censors or Library Board. Born Louisa Watkins Wright in Little Rock 1881, her ancestors included many early Arkansas leaders including Little Rock Mayor David Fulton, who had been born in Ireland. In 1935, Loughborough was appointed to the Little Rock Planning Commission, and it was in this role that she first heard about the plan to condemn the half-block of houses that she had grown up admiring on Cumberland and East Third streets. Although the neighborhood had fallen on hard times, becoming a red-light district and slum, Loughborough feared the loss of several historic structures, including the Hinderliter House, the oldest building in Little Rock and thought to be Arkansas’s last territorial capitol. She mobilized a group of civic leaders to save these buildings. She enlisted the aid of prominent architect Max Mayer and coined the term “town of three capitols” to try to capture the imagination of potential supporters, grouping the “Territorial Capitol” with the Old State House and the State Capitol. The Arkansas Territorial Restoration opened on July 19, 1941. The project was the first Arkansas agency committed to both the restoration of structures and the interpretation of their history, and it served as a model and inspiration for historic preservation in the state. Around the same time, she was a moving force behind the creation of a museum at the Old State House as well. Today both Historic Arkansas Museum (as the Territorial Restoration is now known) and the Old State House Museum are agencies of the Department of Arkansas Heritage. As founding Chairman of the Arkansas Territorial Restoration Commission, Louise Loughborough provided daily direction for the museum house complex through the first twenty years of its existence. She died in Little Rock on December 10, 1962 and was buried at Mount Holly Cemetery. Tonight (March 8) from 5pm to 8pm, explore the Old State House Museum exhibits and the Museum Store, and enjoy the folk rock sounds of The Cons of Formant! Combining backgrounds from old soul-filled hymns and rock & roll to blues and bluegrass, The Cons of Formant have established themselves as a core part of the Americana & Folk Rock movement. The diverse blend of styles has created a beautiful balance of sound that is uniquely their own. Beer, soft drinks and light snacks will be provided. The Old State House Museum (OSHM) will host rising country music star Erin Enderlin on March 1, 7-9 p.m., for a free community concert. Doors open at 6:30 p.m. Admission is free and open to the public. Beer and soft drinks will be served. The museum can validate parking at the DoubleTree hotel; metered parking near the hotel is free after 6 p.m. Recently named one of CMT’s Next Women of Country and Arkansas’s Country Music Songwriter of the Year, Enderlin is an Arkansas native and award-winning singer/songwriter currently based in Nashville, Tenn. Her critically acclaimed sophomore album, “Whiskeytown Crier,” was co-produced by Jamey Johnson and Jim “Moose” Brown and features Chris Stapleton, Randy Houser and Ricky Skaggs. An in-demand songwriter, Enderlin penned Alan Jackson’s “Monday Morning Church,” Lee Ann Womack’s “Last Call,” and others for Luke Bryan, Randy Travis, Terri Clark, Joey + Rory and many more. During the March 1 concert, Enderlin will present the guitar she used when writing “Monday Morning Church,” which she is donating to OSHM. The guitar will be included in the museum’s collection of Arkansas music artifacts. Enderlin is touring with Jamey Johnson during February and March, and she will take a detour to Arkansas to play the March 1 show. All tour dates are available on her website at https://www.erinenderlin.com/p/tour. 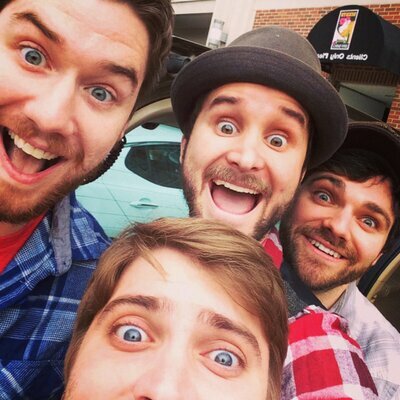 Previously, Enderlin has toured with artists including Willie Nelson, Kip Moore and Marty Stuart. She was recently named Nashville Scene’s Runner-up for Best Singer-Songwriter in Nashville behind Jason Isbell.